I read The Darkest Minds trilogy back in high school, at the height of the Young Adult dystopia craze. It never hit the same level of popularity as The Hunger Games, but there was always something about Alexandra Bracken’s books that I found endearing. The premise was nightmarish enough to warrant investment- a world where children with powers are hunted by the government- but it was grounded in a world that felt realistic. Rather than thrust the reader into an alternative society, it was modern society dealing with the conflict’s disturbing fallout. 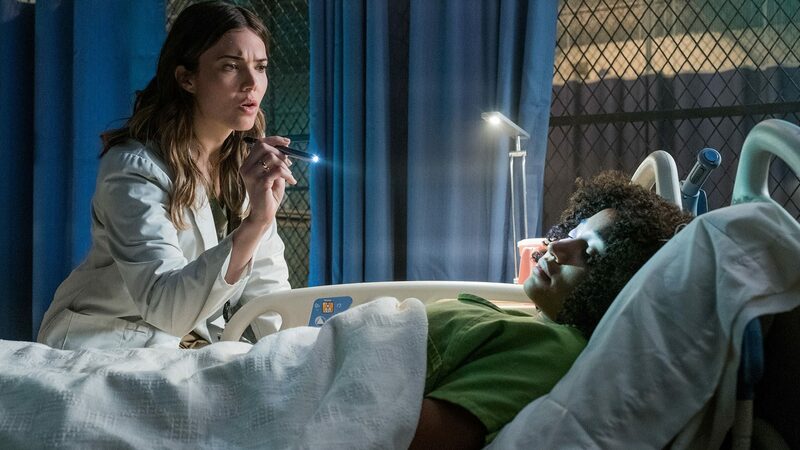 This more intimate take on a sub genre that loves to conceptualize grandiose power conflicts translates into The Darkest Minds movie, faithfully adapting the book without sacrificing character dynamics for spectacle. However, this inadvertently draws attention to the fact that, for all its faithfulness, The Darkest Minds feels low budget. Not enough to reduce investment in the character dynamics, but noticeable enough to hinder the film’s presentation. Taking place in some unspecified time in the early 21st century, a mysterious disease has wiped out over 90% of America’s child population. Yet for the federal government under President Gray (Bradley Whitford), these deaths are nothing compared to the threat that immune children represent. Survivors of the disease have developed superpowers and are grouped into one of five categories: green for enhanced intelligence, blue for telekinesis, yellow for electricity control, red for pyrokinesis and orange for mind control. The government’s plan: transfer all these kids to “camps” for their own safety, including protagonist Ruby, who uses her untapped Orange powers to fly under everyone’s radar. Fast forward six years, and it’s clear that the government has no idea how to cure these children, choosing to keep them locked away rather than admit the truth. An older Ruby (Amandla Stenberg), however, escapes from camp Thurmond with the help of a doctor (Mandy Moore) in league with a supposed resistance group. Yet, after doubting the supposed altruism of their motives, Ruby instead finds solace with a group of powered kids- Liam, Chubs and Zu- simply trying to survive. Their goal: to find a supposed haven where survivors can use their abilities without fear. 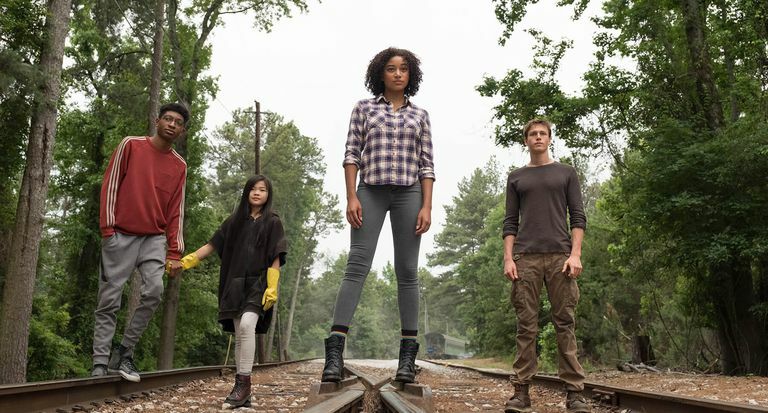 This road trip narrative is easily The Darkest Minds’ strongest aspect, with the lead actors believably selling their bond as a new generation of superfriends. Despite the occasional sci-fi exposition dump, these characters act like regular teenagers caught in a situation beyond their control. Yes, they have X-Men-like abilities and are must evade tracers (i.e. bounty hunters), but the simple act of these characters have fun in an abandoned mall make them feel more relatable than your traditional YA archetypes. When it does showcase these abilities, The Darkest Minds’ offers satisfactory, albeit not awe-inspiring, presentation. All five powers are depicted clearly and with moments of visual creativity, most notably Ruby’s memory powers, but nothing of a summer blockbuster-level quality. Much like the cinematography, these action scenes create scope and dimension only as far as the film’s budget will allow. Even the climax between Ruby and Clancy, another survivor with dangerous ambitions for their generation’s future, juxtaposes high stakes with minimalist spectacle. You want to see more beyond what’s on screen, it always feels like some other film has done it better. 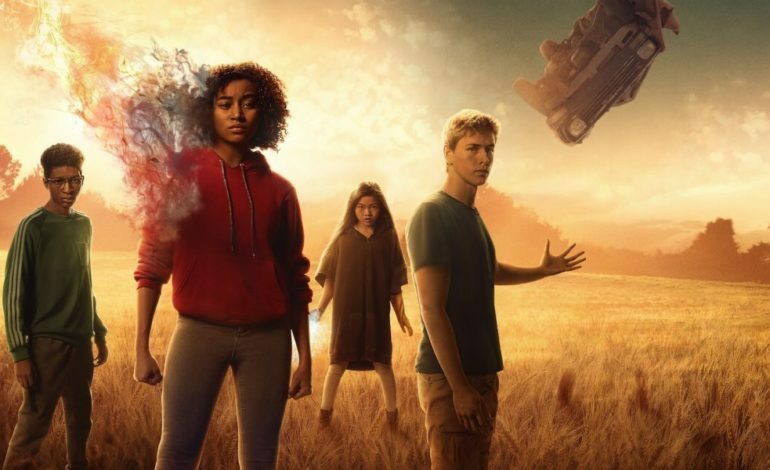 And yet, despite its problems, The Darkest Minds feels more timely than it probably wanted to be. There’s a reason YA movie adaptations eventually fizzled out: the subgenre’s melodramatic clichés tend to be very noticeable. And yet, neither Bracken, nor the book’s original audience nor director Jennifer Yuh Nelson could have predicted a future where the current government openly forces children into internment camps. So the film’s message of fighting one’s political oppressors feel less like a power fantasy than it was six years ago. If anything, its heart is definitely in the right place. Although The Darkest Minds faithfully adapts its source material, it isn’t enough to be considered a good film. The strong lead performances and modest visuals feel constrained by a narrative that can’t help but rely on previous YA tropes. As a fan of the Darkest Minds book trilogy, I genuinely want this series to reach a wider audience. Ironically, despite its premise, the film struggles to stand out amongst the crowd.